This article offers a practical explanation of Business Process Mapping (BPM). After reading, you’ll understand the basics of this powerful quality management tool. 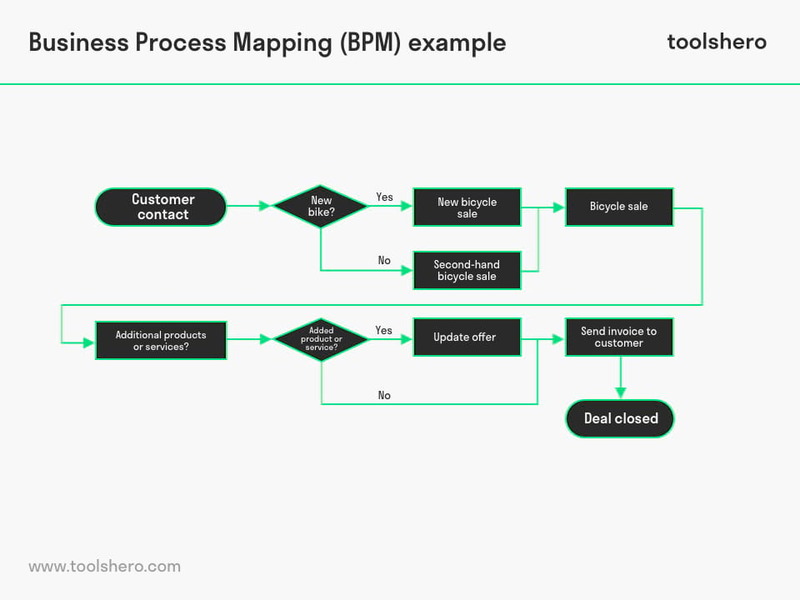 What is Business Process Mapping (BPM)? Business Process Mapping (BPM) refers to the mapping of the steps a company takes to complete a certain process. BPM can be performed on every random process, such as purchasing raw materials, the recruitment process for new employees or the shipment of purchased products. Each company goes through countless processes to fulfil their daily activities. In order to properly manage the company and make it more efficient, it’s important to gain accurate insight into how these processes work. Mapping business processes with Business Process Mapping is often confused with process modelling. In process modelling, professionals focus on analysing and optimising the processes by aligning the company’s objectives with the process requirements. For this purpose, they use the Business Process Re-engineering tool. Business Process Mapping mainly serves to create blueprints for everything that happens in a company, to ensure that no crucial knowledge is lost when new employees are hired, for instance. These blueprints are absolutely essential for restructuring business processes with BPR. Business Process Mapping was first used by Frank and Lillian Gilbreth in a presentation The American Society of Mechanical Engineers (ASME) in 1921. Here, they used the flow process chart, which was soon adopted as the technical standard for visualising processes. Making such flowcharts was expensive and time-consuming in those days. Nowadays, there are countless free software tools available to design these flowcharts. Organisations use Business Process Mapping for various reasons, but it’s first and foremost a quality management approach. Companies are always aiming to work more effectively and recording all business processes is the first step towards this end. Thorough documentation allows for the careful monitoring of processes, where the first step is to define how the process should go under the most ideal circumstances. Subsequently, those who study the process can determine which exceptions must be made and how these should be handled. The main advantage of visualising processes is that it simplifies initiatives to make these more efficient. Managers immediately see how the process works and how it can be streamlined in order to reach the goal more efficiently. The elements that are responsible for quality problems can be established and process improvements can be implemented to prevent mistakes. As a business process often consists of lots of elements and each element has a different character, Business Process Mapping often makes use of flowcharts. A flowchart consists of process symbols and a line. A different symbol is used for each type of element in a flowchart. The most frequently used symbol in a flowchart is a rectangle, which represents a process. A decision is visualised by means of an arrow symbol. The symbols come from an international standard for drawing process maps, the Unified Modelling Language, abbreviated as UML. Many of these symbols are used in very specific and technical situations. The basic flowchart symbols are enough for basic processes. The most frequently used symbols are displayed below. Although the decision to draw processes is a good step, the first real step is to choose the process to work with. It is recommended to first map out the most important processes. Various categories of processes must be prioritised. For example, there are reactive processes that create bottlenecks in the daily activities that must be addressed. At a higher level, strategic processes can be mapped. Customer-oriented processes are also important. Identify exactly where the process starts and ends. It’s possible that certain processes have more than one end and it’s important to establish all of these. Because it’s often the case that different people work on the process, it’s recommended to involve these people in BPM; it’s possible that this can lead to time saving. Together with the people who are part of the process, study the established actions from the previous step. Establish who does what, when and where. After establishing the process with start and end point, it’s important to describe the steps that will lead to the process end. For each activity, use an action verb to describe the steps. Be as concrete as possible. In another document, the details for the actions can be elaborated upon. Subsequently put all the steps in chronological order. Make sure the right symbols are used to map the process steps. Use the basic symbols from the image above or, if necessary, look for advanced symbols that are in agreement with the Unified Modelling Language. Now that the steps from the process are in the right order and have been provided with the right symbols, they must be connected by lines. Usually, arrows and lines are used. The flowchart can be drawn with pen and paper, but there are also various free software tools available. Check whether the flowchart is in accordance with the expectations and agreements. Here, too, it’s recommended to do this with the team. Do the people and elements involved follow the ideal flow? Have any missing or unnecessary steps been added to the flowchart? From this moment on, it can be elected to conduct a Business Process Re-engineering (BPM). The flowchart below provides a simplified visualisation of the sales process of a bicycle store. The start and end have been clearly marked by circles. The sales process starts with the first customer contact. The process ends when the customer has ordered the bicycle and paid the invoice. Interim processes are represented by rectangles and decisions are represented by arrow-shaped symbols. The entire process can be followed via the connectors and the lines with arrows. What do you think? Do you recognise the explanation of Business Process Mapping? Will you record and map processes? What do you think are advantages of or tips for using Business Process Mapping? Do you have any tips or additional comments? Jacka, J. M., & Keller, P. J. (2009). Business process mapping: improving customer satisfaction. John Wiley & Sons. Aldowaisan, T. A., & Gaafar, L. K. (1999). Business process reengineering: an approach for process mapping. Omega, 27(5), 515-524. Biazzo, S. (2002). 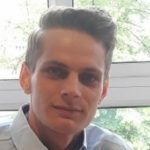 Process mapping techniques and organisational analysis: Lessons from sociotechnical system theory. Business Process Management Journal, 8(1), 42-52.